I have little to add to the thoughts that I previously recorded about pastryland in 2016, and which I reiterated in 2017. The majority of desserts I encounter in restaurants continues to be overwrought. Sadly, excessive plating remains a popular style. And pastry chefs haven’t lost their interest in unorthodox (sometimes bizarre) ingredients. In 2018, I had desserts made with mushrooms, plankton, caviar, and seaweed. I’m not saying these ingredients can’t be successfully used in pastries (to the contrary, one of my favorite desserts last year incorporated caviar magnificently), but most attempts that I’ve encountered have been… challenging. I wonder how much further pastry chefs will stretch concepts and comfort zones. As in the past, some of the best pastries I had in 2018 were found in coffee shops and bakeries. Let me tell you about a few of my favorites. 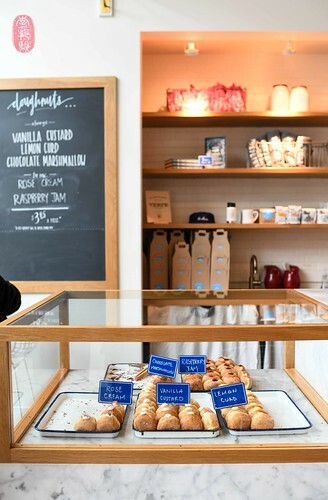 In Kansas City, I am lucky to have Ibis Bakery and, since I first mentioned them a year ago, I continue to enjoy the many, wonderful sheeted dough pastries that they offer at Messenger Coffee on Grand Boulevard. There are blonde puffs filled with cherries and cheese; darker ones filled with cranberries and almonds, sometimes peaches or blueberries, and pineapple too; claws with a heart of goat cheese; and a whole family of croissants, some sweet, some not. I’m a little annoyed by how popular they’ve become, especially on the weekends when there’s a line out the door. But they deserve every bit of attention they’re getting. I’m there almost every day when I’m home. 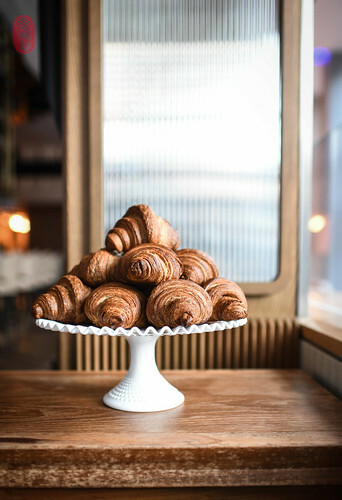 Speaking of Kansas City, a native Kansas Citian is making fantastic pastries in Copenhagen. 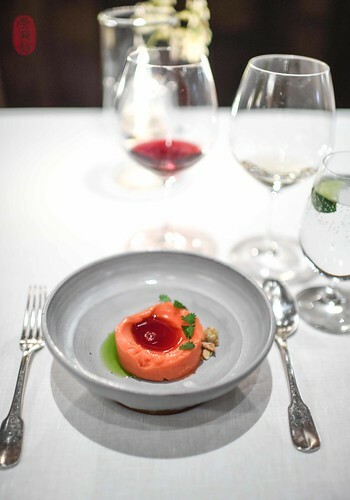 Milton Abel, III, who has worked as the pastry chef at The French Laundry (Yountville), where I first met him, and per se (New York), as well as at both noma and amass (both in Copenhagen), is now baking at a café in the Nørrebro neighborhood of Copenhagen. 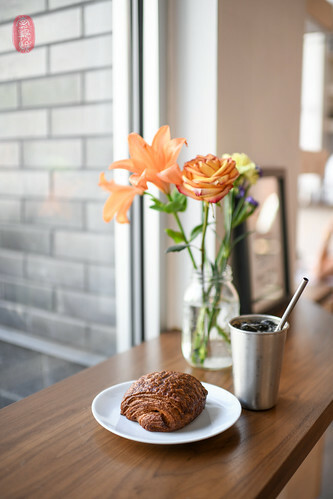 In the early months of 2018, he and coffee roaster Hans Andersen opened Andersen & Maillard. Not surprisingly, Abel’s work is exceptional. 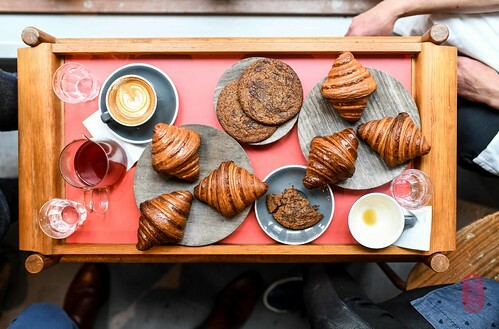 He offers croissants with varying percentages of butter, kouign amann, excellent chocolate chip cookies, a variety of buns and breads, and probably much more that I haven’t yet seen. I’ve also read that, in the summer, Andersen & Maillard started offering soft serve (made from leftover steamed milk). I can’t wait to go back. In Washington D.C., I really enjoyed Seylou Bakery, which specializes in whole-wheat flour. Even the croissants here are made of whole wheat. Mine was noticeably moist in the middle, but it was incredibly flakey throughout. I thought it was excellent. In Seattle, I went to Sea Wolf, where I found quite an impressive list of breads, including lye rolls. The pastries we tried were very good, with unique fillings like apples and anise, or vegetables, like Brussels sprouts. Across town, I found excellent doughnuts – the new darling of coffee shops these days – at General Porpoise (there are now four locations of Renee Erickson’s café). Her doughnuts are piped with fillings like chocolate marshmallow, rose cream, vanilla custard (my favorite), lemon curd, and raspberry jam. They’re so popular that they sell out often. To keep up with the demand, there are multiple deliveries throughout the day. And while photographing for fl.2 at the Fairmont Hotel in Pittsburgh, I had quite a few of its flakey croissants for breakfast. I literally waited next to the ovens in the pastry kitchen for them to come out. Thanks to a tip from my friend Hermon, I checked out Mamiche in the 9eme. 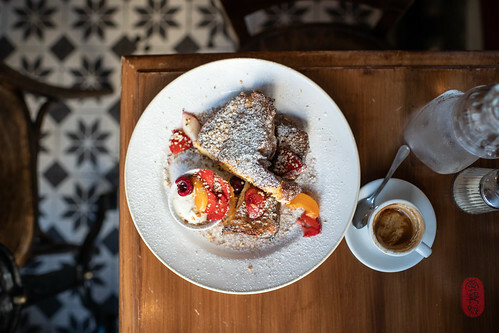 This small bakery – with no room for sitting – offers a wide selection of baked goods, including chocolate babka, brioche buns, and pain perdu, which looked more like giant, glazed marshmallows. Buttery and sweet, and incredibly moist, they were fantastic. I’ll have to return for the fougasses; they looked great. I had pain perdu for breakfast another morning. I don’t know if the French actually eat this for breakfast, or if it’s just a wink to tourists. Anyway, I consider it a dessert. The pain perdu at la Fontaine de Belleville (10eme) is more like what we think of as French toast in America: slices of eggy toast dusted with powdered sugar. Here, no syrup. I didn’t miss it. In Kansas City, I go regularly to Rye (two locations) for Megan Garrelts’s terrific pies. My favorite are her cream pies, especially the ones with coconut cream and banana cream fillings – both copiously covered with whipped cream. 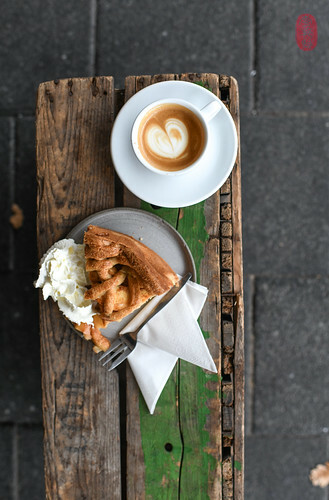 I also found surprisingly good apple pie at White Label, a coffee shop in Amsterdam. I wrote about it in a prior post. 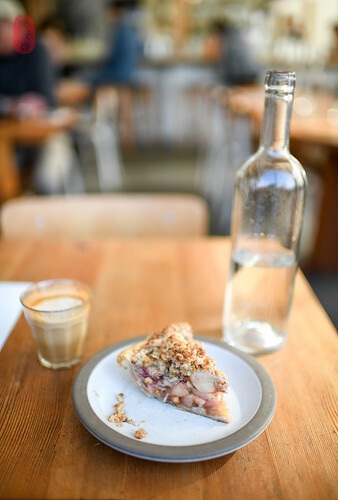 And also at Tartine Manufactory in San Francisco. The slice there was especially tall, and the apple wedges particularly meaty and fragrant. In my opinion, simple desserts are the best desserts. Perhaps more than previous years, you’ll find that reflected in this year’s list: some sorbet, or fruit, or a wedge of dark chocolate, all of them of exceptional quality. Who can argue with exceptional quality? Crémeux chocolat cru, chantilly tonka, & glace hysope. From top to bottom, I was pleasantly surprised by the meal I had at Antonin Bonnet’s little restaurant on rue de l’Abbé Grégoire in the 6eme. It was terrific. And at the end, dark chocolate and cherries, a couple best left alone. And Bonnet respected them accordingly. Smoked caramel, smoked cocoa nibs. As early as 2015, and as recently as last year, this has been a perennial favorite. How do you make something taste more like itself? This is the point upon which Joshua Skenes’s cooking pivots. Having eaten quite a bit of his food over the years, I would say that he has mastered this point. And as a result, his flavors are as confident as they are pure. This simple sorbet is a good example of this: you cannot imagine coconut tasting any better, or any other way. 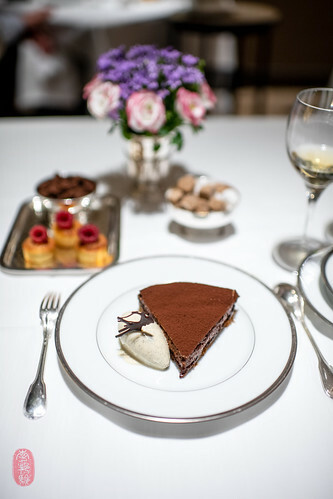 Laurence Faber’s desserts are thematic. He chooses a superstar ingredient to play the central role, and assembles a small but spectacular supporting cast to showcase it. He does this brilliantly. Over the course of multiple visits to The Barn at Blackberry Farm in 2018, I was treated to a beautiful show of strawberries in the spring (see no. 11), peaches in the summer, and apples in the fall. 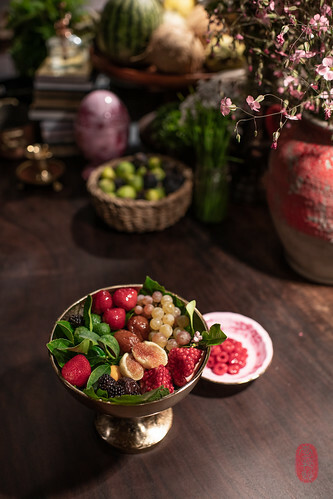 People scoff at the idea of serving fresh fruit, unadorned, in a restaurant. I used to be among them. And then I realized that in places like California, where there is access to ripe fruit year-round, proximity is everything. Instead of picking fruit prematurely for shipping and storage – to places like Kansas City, or New York – fruit can be picked for ripeness. But availability does not equal access. You still have to know where and how to look for great fruit. And once you find it, you must eat it quickly, which limits the amount that you can buy at once. So having one type of ripe fruit might be reasonable, but an assortment, unreasonable. That’s why the fruit plate at Angler is such a luxury. At any one time, you’ll have at least three – sometimes many more – types of fruit in prime condition: juicy plums, fleshy figs candy-sweet grapes, and those meaty pineapples smoked on the hearth. What I love about Kong Hans Kælder is the level of scrutiny that chef Mark Lundgaard Nielsen applies to quality and technique. And of course that includes everything that comes out of the pastry kitchen, a department that so many otherwise great restaurants neglect. 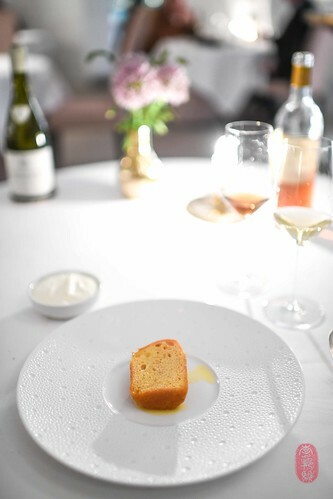 Working with his pastry chef Hugo Ricciardi, they take an elegant approach to great classics, like peach Melba, profiteroles, and this beautiful little baba cake with rum and crème Chantilly. The results are always perfect. This is a longtime favorite. 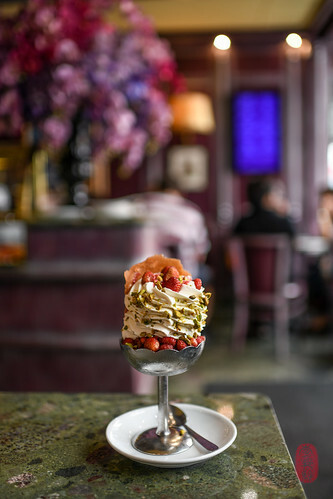 And as long as Zuni Café keeps putting this perfect little parfait on its menu, I’ll keep ordering it. Caramelized rosemary and frozen goat yoghurt. 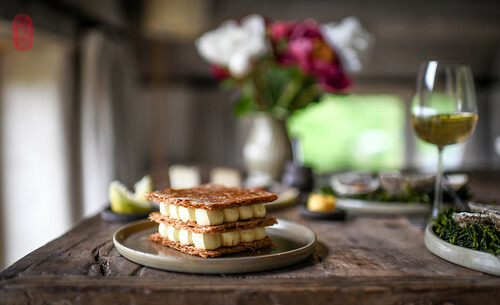 Crème glacée à la vanille Bourbon. A tower of whipped cream swirling above a mound of sweet rubies. This was the perfect answer on a warm, sunny spring afternoon in Paris. Turn on your sound and listen. I had ordered this mille-feuille off the dessert trolley the first night at La Coquillage, the Roellinger family restaurant overlooking the windswept coast of Bretagne. 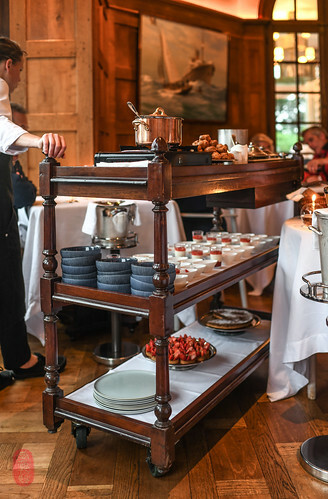 It was so fantastic that I ordered it to be delivered for in-room dining the next night at La Ferme du Vent. 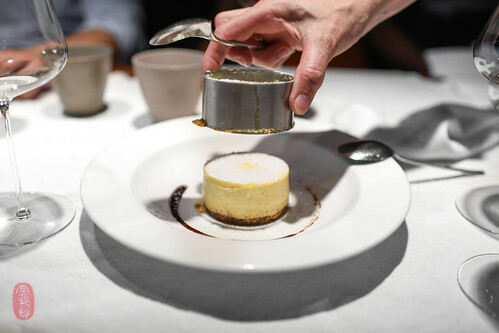 Photos: Flan de Queso Fresco (no. 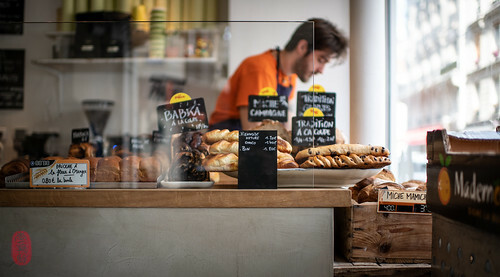 5) at Asador Etxebarri in Axpe, Spain; an assortment of pastries – croissants and chocolate chip cookies – at Andersen & Maillard in Copenhagen, Denmark; whole wheat croissant at Seylou in Washington, D.C.; doughnuts in the case at General Porpoise on Capitol Hill in Seattle, Washington; the bakery case at Mamiche in Paris, France; the pain perdu at la Fontaine de Belleville in Paris, France; the lattice apple pie at White Label in Amsterdam, The Netherlands; apple pie at Tartine Manufactory in San Francisco, California; a stack of croissants at fl.2 at the Fairmont in Pittsburgh, Pennsylvania; the dessert trolley at La Coquillage in Saint-Méloir-des-Ondes, France; Strawberry Sorbet (no. 11) at The Barn at Blackberry Farm in Walland, Tennessee; Winter Citrus “Boule” by Yannick Dumonceau (no. 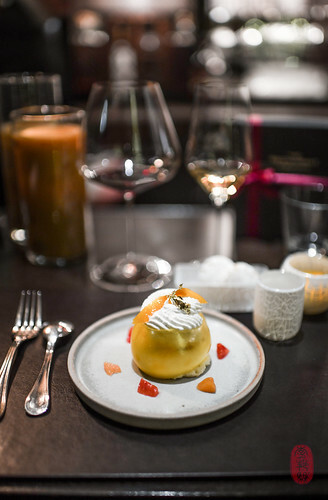 14) at the Twelve Days of Christmas at the Restaurant at Meadowood in St. Helena, California; Fruit Plate at Angler in San Francisco, California; Baba au Rhum at Kong Hans Kælder in Copenhagen, Denmark; a coupe of fraises des bois and a tower of crème Chantilly at Maison Berthillon in Paris, France; Tarte Fine Sablée at l’Ambroisie in Paris, France; the mille-feuille from La Coquillage at la Ferme du Vent in Saint-Méloir-des-Ondes, France. ~ by ulterior epicure on January 14, 2019.